ThunderClan is home to the brave and bold. These wolves typically aren't afraid to follow their hearts, and generally do what they believe to be right. 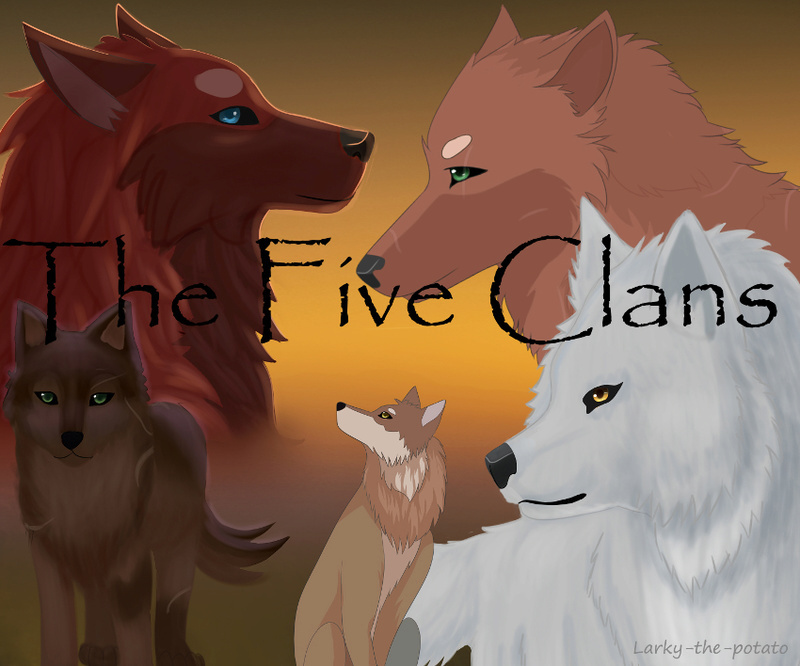 Most tend to be loyal, and ThunderClan is one of the more peaceful Clans. They live in a mainly forest habitat; in their new territory, ThunderClan now borders the ocean. Due to residing in the forest, ThunderClan wolves have over time become excellent at stalking prey through the undergrowth and can maneuver around in the sometimes rocky and dense forest with ease. They eat prey that they can catch in the forest, from smaller prey such as squirrels and birds, to larger prey such as deer. Recent Events; 22nd Nov: Rosestar has stepped down from being the leader, due to three wolves dying over a period of 24 hours. Rainstar is now the leader, and the loner Song of the Sky has joined to take up the position of medicine wolf in this clan's time of need.